We at SEMrush know that finding the right keywords is crucial for SEO specialists. But sometimes this comes with a lot of questions. What keywords will contribute to business development? Do I have enough keywords? And how much is enough? No more unsolved questions, no stones unturned. 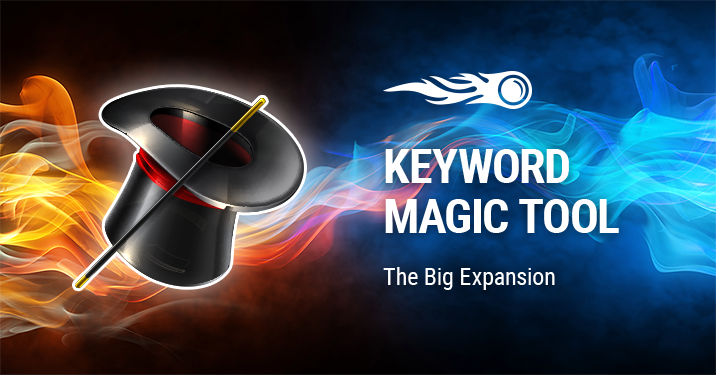 With the latest update, our Keyword Magic tool is now stronger than ever before! The rest of the databases will be extended up to 160 million within a month. See the magic for yourself! Start working with the tool by selecting it under the Keyword Analytics section of the navigation menu. Enter a keyword and click the ‘Search’ button to see your results. 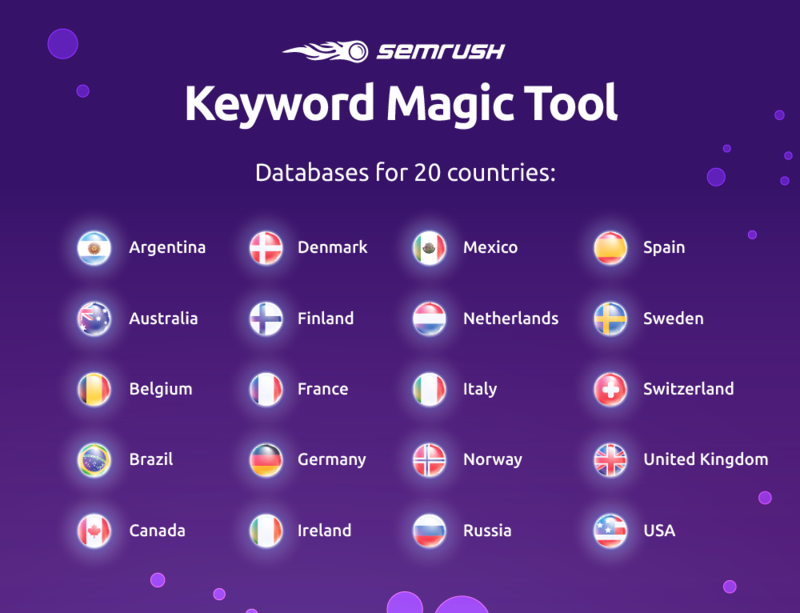 As always, the Keyword Magic tool allows you to export up to one million keywords in a single file, group your keywords into niches and get deep analysis for both single keywords and groups of keywords. Find more information about Keyword Magic tool functionality from this blog post - Become a SEO Wizard: Using the Keyword Magic Tool.